The fitness industry in Maryland is constantly growing. Just take a moment and think about all of the gyms, spas, yoga studios, and other fitness centers within a five mile radius of your home. Wow! You never realized how large the fitness industry is. Now just imagine how difficult it is for these business owners to attract and retain customers in such a competitive industry. Obviously, there are some things that every gym strives to provide, including top-notch equipment, quality customer service, and a clean environment. But like we said, these are the obvious things that every gym owner tries to provide. It is the little things that will push a gym over the top. 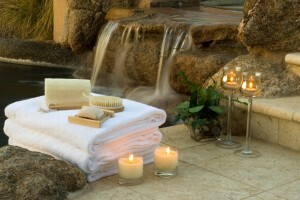 For instance, ask yourself if you would rather frequent a gym with a complimentary towel service or without. The answer is obvious. Gyms, spas, yoga studios, and fitness centers, have a constant need for clean, fresh towels, with two options for handling this need. These gyms can purchase these towels and handle everything in house, or they can choose to work with a towel rental service, like Lord Baltimore Uniform. For over thirty years, Lord Baltimore has provided towel rental services throughout Maryland, DC, Delaware, Northern Virginia, and Southern Pennsylvania. Our high level of customer service, coupled with our affordable prices has made us the go-to linen provider in the Baltimore area. We offer our customers an alternative to the high volume corporate commercial laundries that are all too often big on volume but short on service. As we have already mentioned, a Towel rental service will save you money. There is no initial investment, there is no need to purchase towels, there is no need to purchase equipment, and there is no need to pay for any additional labor. Your towel rental service will handle everything for a flat, weekly fee. When your business expands, your towel rental service can expand right along with it. Scalability is not an issue. We just add more towels at your request. If you handle everything in-house, your employees take on numerous additional tasks, especially when it comes to collecting and laundering all of those towels. As a result, customer service and efficiency both take a hit. When you choose to work with Lord Baltimore, you and your employees will have more time to focus on the business and, most importantly, your clients. Last, but certainly not least, a rental towel service helps you turn a profit. To find out if Towel Rental is the right choice for your gym, spa, or fitness center, please contact Joe Bateman at Lord Baltimore Uniform at 800-292-1224 or visit LordBaltimoreUniform.com. Lord Baltimore Uniform provides uniform rental and uniform purchase to companies in Maryland, Washington DC, northern Virginia, Southern Pennsylvania, and Delaware. With a strong commitment to customer service and a service guarantee to back it up, Lord Baltimore Uniform is your optimal choice for uniform supply. This entry was posted on Wednesday, October 30th, 2013	at 1:03 pm	. You can follow any responses to this entry through the RSS 2.0	feed. Both comments and pings are currently closed.